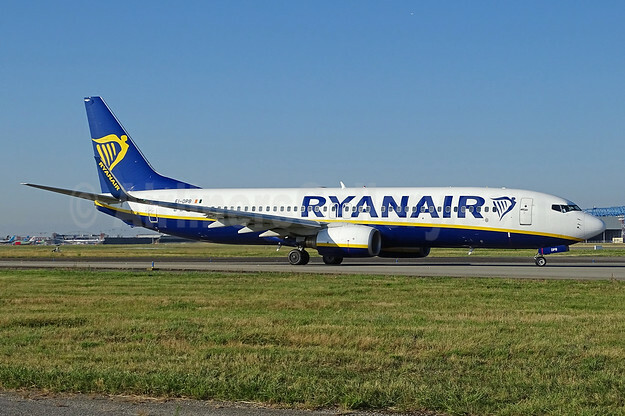 Ryanair has announced that it will open a new base at Düsseldorf Airport from June, its 11th base in Germany and 86th in Europe, with 1 based aircraft, as it launched two new summer routes to Alicante and Malaga. These new Ryanair routes are in addition to the daily service to Palma de Mallorca which was announced earlier this year and the 12 routes operated on behalf of LaudaMotion. Copyright Photo: Ryanair Boeing 737-8AS WL EI-DPB (msn 33603) TLS (Paul Bannwarth). Image: 940735. This entry was posted in Ryanair and tagged Boeing 737-8AS WL, Dusseldorf, EI-DPB, msn 33603, Ryanair on April 28, 2018 by Bruce Drum. Lufthansa is working with all its available resources to ensure the repatriation and transfer of victims of the Germanwings flight 4U9525 to the relatives in the originally planned schedule. 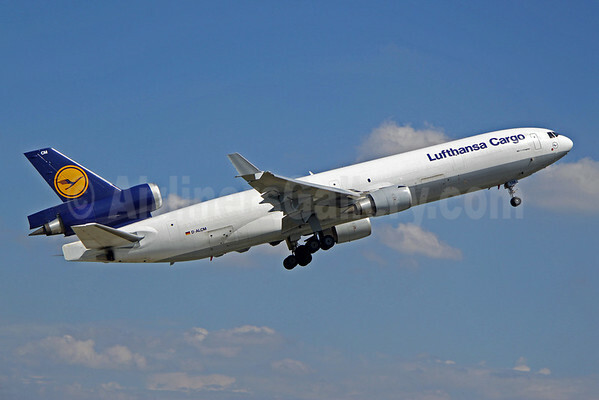 To start off the repatriation flights, Lufthansa will arrange at short notice a special flight with a MD-11 of Lufthansa Cargo from Marseille to Dusseldorf. The plane will take off from Marseille on June 9 at 20:50 and is expected at Dusseldorf at 22:30. There will be 30 coffins of the victims of flight 4U9525 on board. The repatriation of the victims was initially scheduled for next week. At short notice, however, a delay had resulted due to regulatory requirements. The Federal Government Commissioner for the victims’ relatives had then turned immediately to the authorities and received assurances that preparations for repatriation could be made immediately. After this first special flight to Dusseldorf, the other victims will be gradually transferred to their home countries in the coming weeks. The French authorities are working hard in order to create the formal conditions for the transfer of the victims as soon as possible. Lufthansa is in close contact with the relatives to ensure that the transfer of the victims is carried out according to the relatives’ wishes. Copyright Photo: Pascal Simon/AirlinersGallery.com. McDonnell Douglas MD-11F D-ALCM (msn 48805) departs from the Frankfurt cargo hub. This entry was posted in Germanwings (2nd), Lufthansa, Lufthansa Cargo, Lufthansa Group and tagged 48805, D-ALCM, Dusseldorf, FRA, Frankfurt, Germanwings, Germanwings (2nd), Germanwings flight 4U 9525, Lufthansa, Lufthansa Cargo, Lufthansa Group, Marseille, McDonnell DC-10-30, McDonnell Douglas, McDonnell Douglas MD-11, MD-11, MD-11F on June 8, 2015 by Bruce Drum. 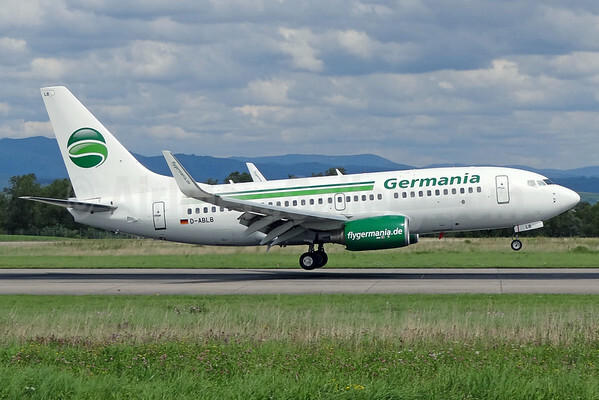 Germania Fluggssellschaft (Berlin) on Friday night (February 20), launched a new route from Düsseldorf to Tehran. 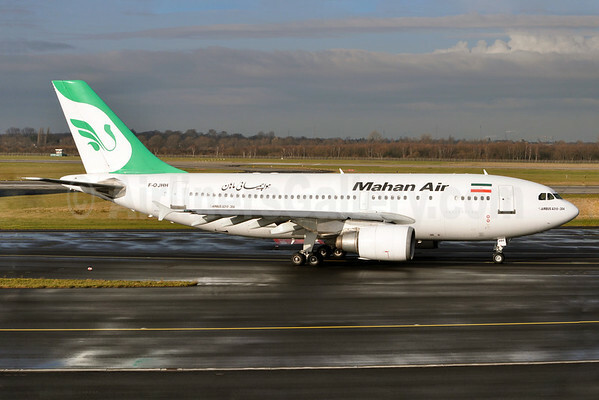 Yesterday (February 22), the airline launched its first flight from Berlin (Schönefeld) in the capital city of Iran. Copyright Photo: Paul Bannwarth/AirlinersGallery.com. Ex-Airberlin Boeing 737-76J D-ABLB (msn 36115) lands at EuroAirport near Basel. This entry was posted in Germania and tagged 36115, 737, 737-700, 737-76J, Basel/Mulhouse/Freiburg, Berlin, berlin schoenefeld airport, Boeing, Boeing 737, Boeing 737-700, BSL, D-ABLB, Dusseldorf, EuroAirport, Germania, Germania Fluggssellschaft, Tehran on February 23, 2015 by Bruce Drum. 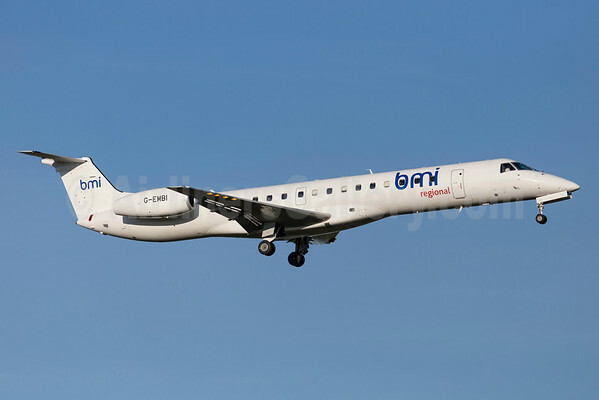 Bmi Regional (East Midlands) announced in a press release on Wednesday February 18, an expansion of services from Bristol Airport for the Summer 2015 season, which sees the launch of Dusseldorf and Paris (CDG) service from April 27. Seasonal services to Nantes will also be offered from July to September 2015. These additional services bring the number of routes flown by the airline from Bristol to eight, alongside Aberdeen, Hamburg, Munich, Frankfurt and Milan. The new destinations will be operated by a 49-seat Embraer ERJ 145s, with a Tuesday flight to Nantes operated by a 37-seat Embraer ERJ 135. Assistant Editor Oliver Wilcock reporting from Manchester. Copyright Photo: Stefan Sjogren/AirlinersGallery.com. Is a new livery coming for this regional or will it cling to the now retired bmi 2001 livery? All white Embraer ERJ 145EU (EMB-145EU) G-EMBI (msn 145126) arrives in Stockholm (Arlanda). This entry was posted in bmi regional and tagged 145126, Arlanda, ARN, bmi regional, Bristol, Bristol Airport, Dusseldorf, EMB-145, EMB-145EP, Embraer, Embraer EMB-145EU, Embraer ERJ, Embraer ERJ 145, ERJ 145, G-EMBI, Nantes, Paris, Stockholm on February 20, 2015 by Bruce Drum. 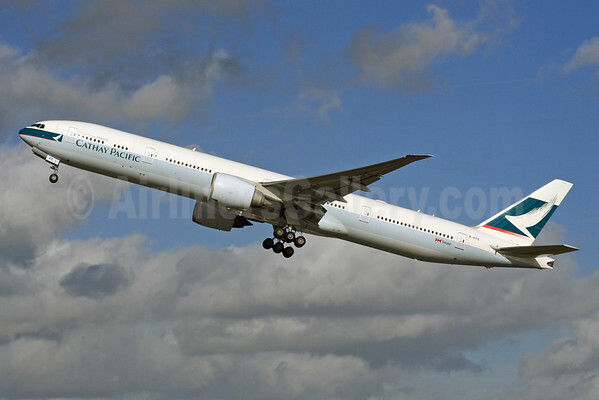 Cathay Pacific Airways (Hong Kong) will launch the Hong Kong – Dusseldorf route on September 1. The new route will be operated four days a week with Boeing 777-300 ER aircraft per Airline Route. Copyright Photo: SPA/AirlinersGallery.com. Boeing 777-367 ER B-KPE (msn 36156) departs from Heathrow Airport in London. This entry was posted in Cathay Pacific Airways and tagged 36156, 777, 777-300, 777-367, B-KPE, Boeing, Boeing 777, Boeing 777-300, Cathay Pacific Airways, Dusseldorf, Dusseldorf route, Heathrow, Hong Kong, LHR, London on February 3, 2015 by Bruce Drum. 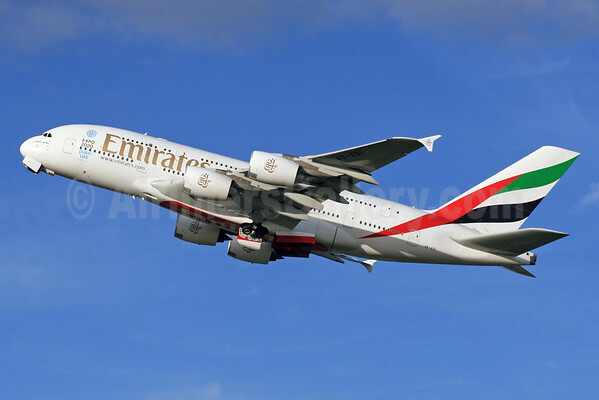 Emirates (Dubai) announced today the launch of Airbus A380 services to two European destinations: Dusseldorf and Madrid. The addition of Dusseldorf and Madrid to the list brings the total number of European gateways served by Emirates’ A380 to 13. Emirates currently has 57 A380s in its fleet, flying to 34 destinations globally and wowing customers everywhere it flies with its industry-leading onboard features. As of July 1, flight EK 055 will be operated by an Airbus A380, leaving Dubai at 0830 and landing in Dusseldorf at 1325 the same day, while flight EK 056 will depart Dusseldorf at 1525 and arrive at Dubai International Airport at 2355 the same day. As of August 1, flight EK 142 will be operated by an Airbus A380, leaving Madrid at 1530 and landing in Dubai at 0045 the following day. The return flight EK 141 departs Dubai at 0740 and arrives in Madrid at 1340 the same day. The Emirates A380 offers a total of 519 seats in a three-class configuration, with 429 spacious seats in Economy Class on the main deck, 76 fully flat-bed mini-pods in Business Class and 14 First Class Private Suites on the upper deck. Copyright Photo: SPA/AirlinersGallery.com. Airbus A380-861 A6-EDL (msn 028) departs from London’s Heathrow Airport. This entry was posted in Emirates Airline and tagged 028, A380, A380-800, A380-861, A6-EDI, Airbus, Airbus A380, Airbus A380-800, dubai international airport, Dusseldorf, Emirates, Emirates Airline, Madrid on January 28, 2015 by Bruce Drum.